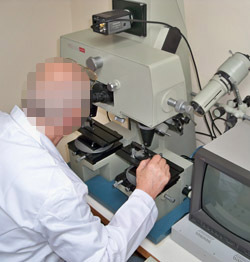 Cold light is supplied by fibre optic cable directly to the components under examination.The examination of bullet striations for close up evaluation is normally associated with the comparison microscope, it is also used to compare firing pin indentations, extractor markings and toolmarks from the breech face. has a split-screen viewing facility with a dividing line between the two part images.The two samples are viewed on a computer monitor, when positioned to show a match, the frame can be held in the computer memory and recalled when required for the preparation of a report. 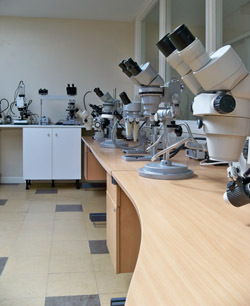 As of 2012 we have finished upgrading our microscopy facilities. 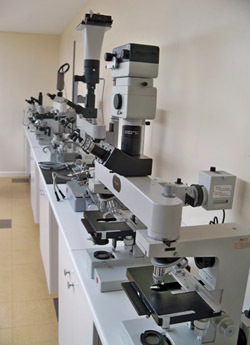 Our new purpose built teaching room boasts eight comparison microscopes and associated equipment. We hope that these new facilities combined with our excellent teaching staff will allow us to offer an exceptional service and a valuable source of information to the forensic science community in the UK and overseas for many years to come. 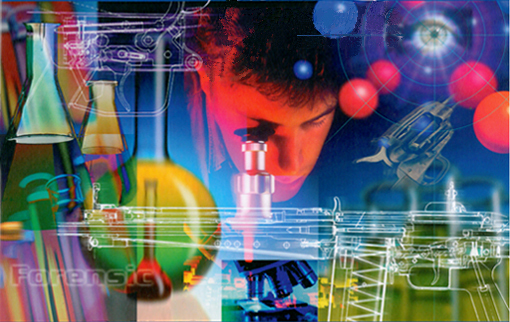 The CamScan instrument is a research-grade analytical SEM capable of reaching 100,000 x magnification. High-resolution images of biological samples, metal surfaces, particles, fibres and material surfaces can be achieved with this instrument. This system also has EDX capabilities (above Z=11), whereby elemental analysis or chemical characterisation of a surface can be performed. Zeiss Epitechnoscope, 48174, Low power binocular zoom microscope with stand and integral light source. Leitz low power binocular microscope with 2 objectives and stand. Nikon stereo microscope and stand 20 x magnification. Leitz Dialux 20, High power binocular microscope with 1 objective, L10/0.22. Leitz Metallux 11, Hi power binocular microscope. Leitz Ortholux 11, Hi power microscope. 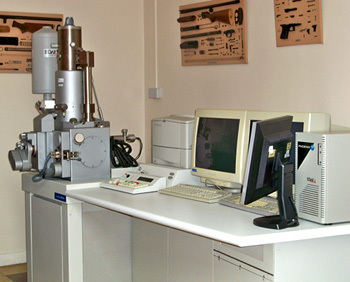 Leitz ballistic comparison microscope c/w x-y positioning tables and CCD colour camera. Leitz SM-LUX laboratory microscope, zoom 4x0.12 – 10/0.25, 40/0.65. 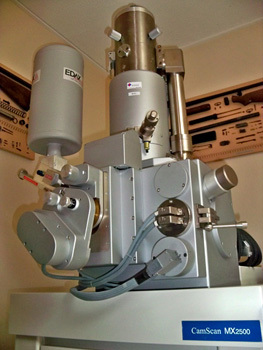 Kyowa microscope on stand, zoom 10x/23. Leitz Dialux 22 laboratory microscope, zoom 10x/0.22. Leitz Ortholux 11 microscope with 2 objectives, 10/0.30, 25/0.55 and light source. Leica Z45V low power stereo laboratory microscope with integral light source. Leitz laboratory microscope with 10/0.22 objective and light source. Nikon stereo microscope and stand, 10xmagnification. 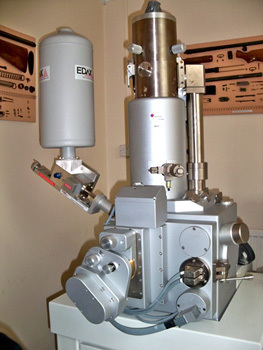 Camscan MX2500 1999, 134, scanning electron microscope with “edax” x-ray micro analyser, automatic gunshot residue packaging, large sample chamber, 100x100 stage movement, vacum pump, cooling system, monitors, printer and sun operating system. Leitz Ortholux 4426, binocular training microscope with 3 objectives, NPL Fluotar 10/0.30, NP140/0.65 and 4/0.12 with single light source. Nikon SMZ 2B, stereo microscope on stand. Weztlar stereo microscope on stand c/w light source. Leitz HD-Lux,5612, high power binocular microscope with 3 objectives 50x/0.75, 20x/0.35, 10x/0.20. Nikon 102732 low power binocular zoom microscope with stand. Nikon SMZ 2B stereo microscope on stand. Nikon stereo microscope on stand, zoom 10x/22. Nikon 65517 low power microscope with universal stand, zoom 8x – 40x. 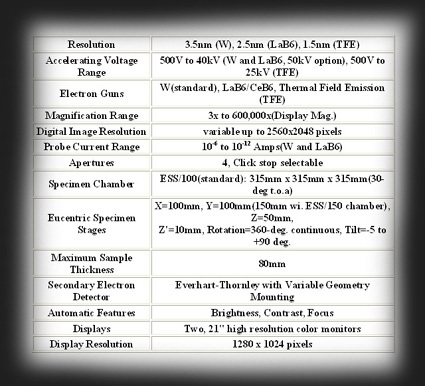 Leitz ballistic comparison microscope, zoom 2.5x/10x/25x/40x, positioning table and 2 light sources, CCD camera. Nikon V-12, 58501, profile projector with Nikon CM-65 digital counter. 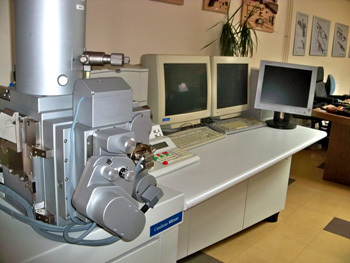 Leitz double ballistic comparison microscope, zoom 80mm with double rotation tables and schott light source type KL1500T and CCD camera. Leitz double sided special microscope with CCD camera and polaroid camera attachments, 2 rotation tables and light source. 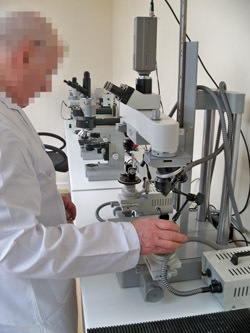 Leitz Dialux comparison microscope c/w X-Y positioning tables and light source. Leitz Dialux laboratory microscope zoom 4X/10x/25x/40x. Leitz Ortholux 11, 977095 & 977253 comparison microscope with micrometer stages, 4 objectives, MPL Fluotar 10x/25x/40x and 2.5 PL white light sources with power supply. Leitz Ortholux 11, 63743, comparison microscope with micrometer stages, 4 objectives, NPL Flotar 40/0.70 EF 25/0.50, NPL Fluotar 10/0.30, PL 2.5/0.08 with light sources. Leitz Ortholux 11 high power comparison microscope with objectives 40x/0.65, 10x/0.25, 4x/0.12, 25x/0.50, 10x//0.25, 4x/0.12, 40x/0.65 with UV and white light sources.